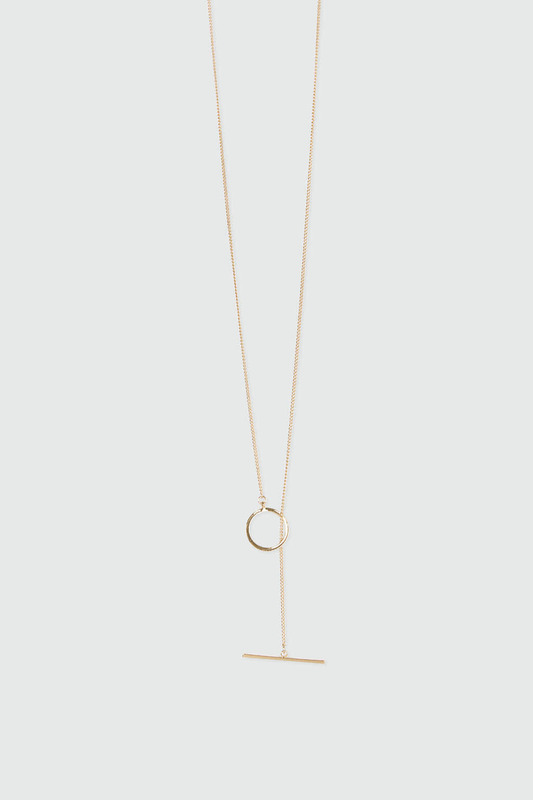 A delicate style that adds an alluring appeal to your look, this lariat necklace has a dainty chain for an adjustable length and is tipped with a minimal hoop and thin bar. Wear yours with a V-neck blouse to highlight this necklace and finish off with drop earrings for an elegant evening. Materials: 95% Brass, 5% Iron. 12k gold or silver plated.